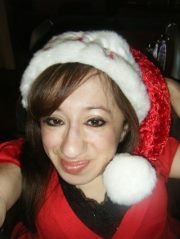 CORINA Gutierrez, aka Ez2Smile, of San Antonio, Texas, will now star in the most uplifting and happiest feel good Christmas song ever. The Zumba fitness instructor and motivational speaker, who has had osteogenesis imperfecta from birth, says she pressed the wrong button on her online playlist. Her mistake is our entertainment. Ready to jingle your bells?